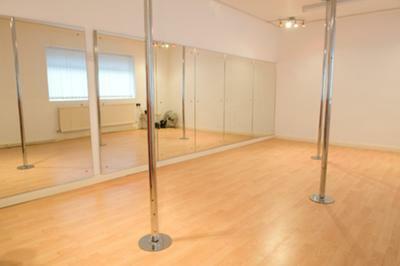 Pole dance courses and tuition held at Dance Dynamic Studios, Coelus Street, Hull. The Pole Dance courses promote overall mind/body well-being and fitness to build strength, flexibility, self confidence and overall fitness. Classes teach an increasing progression of floor and pole dance tricks and transitions. You will start the with an introduction into a variety of pole spins, different grip methods, as well as some simple transition moves, and even a few floor work moves. Classes provide a fun and motivation-filled way to improve both your mental and physical well being. Our classes are suitable for ladies of all ages (16-60+),shapes, sizes and fitness levels. You will soon discover greater muscle tone and definition in the arms, waist, bottom, thighs and legs. You will also gain an increased flexibility and a little extra self confidence!